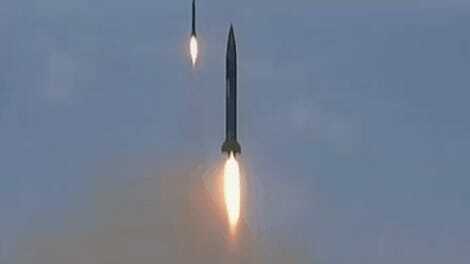 Have you seen this video of North Korea’s failed missile launch? It’s quite impressive, in that GEE WHIZ EXPLOSIONS! kind of way. But it’s not from North Korea. On April 15th, the ironically named Democratic People’s Republic of Korea (DPRK) reportedly tried to test out a missile. According to American intelligence reports, the missile blew up almost instantly. But the videos that have been circulating over the past couple of days aren’t from Saturday’s launch. The video actually shows a failed launch from July 1, 2013 that wasn’t even conducted by North Korea. It was a Russian rocket called the Proton-M that was carrying a payload of three satellites. The destruction of the payload is thought to have been a loss of roughly $200 million. The video, which is being misattributed to North Korea, comes on the heels of a very tense weekend on the Korean peninsula. Experts have been predicting for at least a month that North Korea could test a nuclear weapon sometime in mid or late April—with April 15th and the 25th being the most likely dates. There has been some speculation that the failed missile test was the result of some kind of American cyberattack, but some people, including Senator John McCain, have expressed skepticism about that idea. “I don’t think so, but I wouldn’t rule it out,” McCain said Sunday of the possibility that a US cyberattack on North Korea may have foiled the launch. It’s unlikely that video of the missile failure will surface, but if it does and the reports are correct, the missile will probably be shown exploding on the platform. 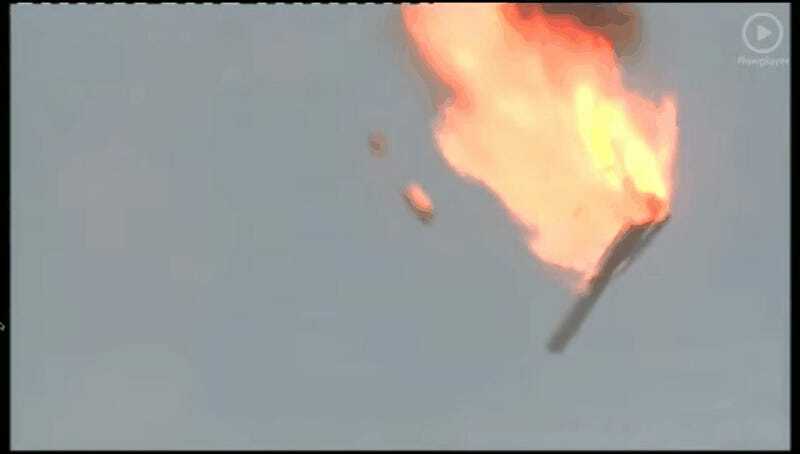 As you can seen from this 2013 test, the rocket is airborne for almost 20 seconds before crashing into the Earth.